Inspiring. Fun. Not for the weak of heart. These are just a few of the things that students gush about at Train P3. 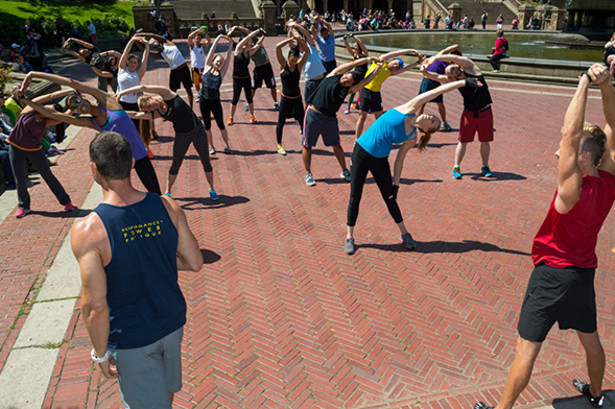 This full-body movement-based method takes students outside to Bethesda Fountain in Central Park in the fair-weather months of May through October, and keeps the fitness party going with indoor workouts at Velocity Sports Performance (133 East 58th Street) for the ever so slightly less pleasant winter months. Work on your own three Ps - performance, power, and physique - with Train P3's multimodal strength and conditioning classes! Why We Love It: Train P3 puts a focus on form, and the individual attention trainers give to students helps them perform each exercise correctly during the fast-moving class. On top of that, we love the positive vibes in this group training session! 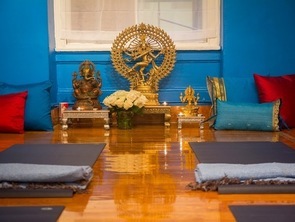 One of Train P3's rules is to "bring your best energy," which keeps us coming back to sweat with a smile. Why It's So Effective: Train P3 encourages its students to focus on becoming athletes, not short-term, surface-level goals. The high intensity stations in this 75-minute class are designed to take students out of their comfort zones while focusing on skills and good form. Know Before You Go: Wear athletic shoes for class,and bring your water bottle. Arrive to the Bathesda Fountain early, as the specific class location will move from there depending on the day's workout. Maintain a deep knee bend or primal squat without pain. Hold a stable plank on your hands with good alignment; stable core and natural curve in your back. Stand and balance on one leg. Have enough coordination to perform full range walking lunges (front, back and side) without trouble. Don't Miss: Start training with Train P3 now to see why Train P3 was one of our 12 Outdoor Workouts You Don’t Want to Miss for Summer 2015!